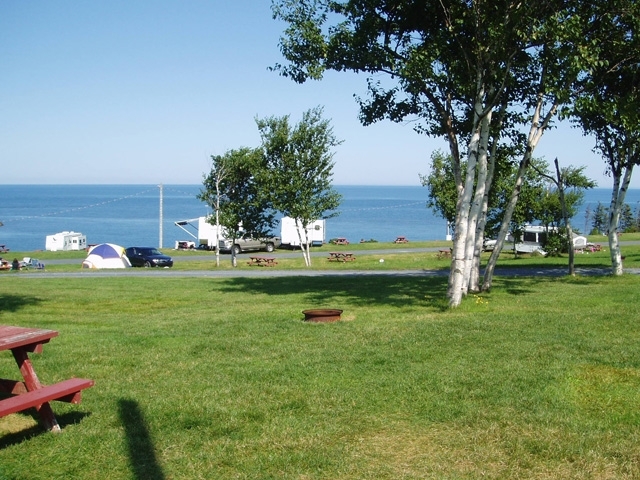 Site #60 is a Premium Water View full-service site overlooking the beautiful Bay of Fundy. This is the smallest of the Premium serviced sites, and has several trees to provide shade. 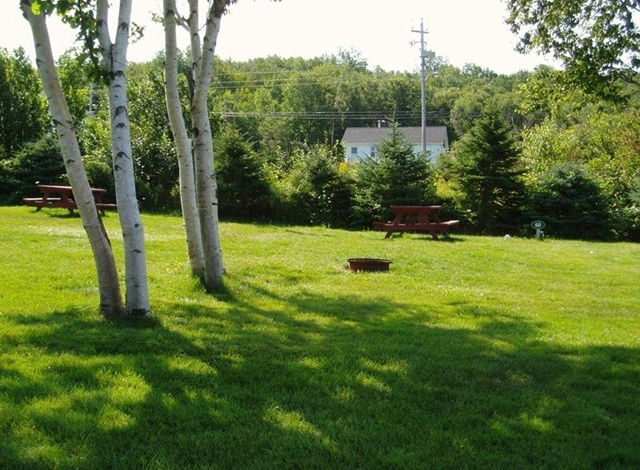 This is the most favored site for guests who are tenting and wish to have electricity on their site, and also for guests who wish to be close to the heated pool, washrooms and playground. The site will accommodate one camping unit up to 22 feet in length, and is equipped with certified drinking water, 30 amp power supply, sewer, picnic table and fire ring.